The Cycad Plants with their beautiful green leaves adorn the decoration of your garden. The Rare Cycad Plants offered by Kamal Nursury are marked by their unmatched quality. Cultivated in our own nursery in a very sophisticated process maintaining all favorable conditions, these Cycad Plants are widely in demand. The growth rate of the Cycad Plants is comparatively higher. We are, thatâ��s why, considered among the prominent Green Cycad Plants Manufacturers in this country. 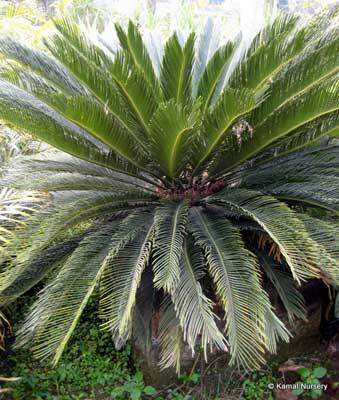 We also rank top among the renowned Cycad Plants Suppliers in India.